Personal Injury Lawyer, Mobile, AL - Briskman & Binion, P.C. Do you need a personal injury lawyer? Did you or a loved one have an injury in an accident, or worse, passed away due to an accident or personal injury? At Briskman & Binion, P.C., we have broad experience in all areas of personal injury law. The personal injury lawyers at Briskman & Binion, P.C. can file suit to seek compensation, pursue personal injury and wrongful death claims in court to prepare for a trial. Furthermore, we negotiate with insurance companies for persons who are the causes of the accident or injury. Without a wise personal injury lawyer, you may be less likely to get a fair or full settlement that is enough to make up for your personal injuries and long-term financial setbacks. Our willingness to take your case to court gives us great leverage in obtaining fair settlements. Our lawyers have more than four decades of combined legal experience in handling personal injury claims. Since 1988, we have taken on high-profile personal injury cases. We have a long history of accomplishments and a solid reputation as personal injury lawyers. As some of the most recognized and respected personal injury attorneys in the Mobile area, we are prepared to take your case as far as necessary to see that you get the compensation that you deserve for your injury claim. The Law Office of Briskman & Binion, P.C. fights for cases pertaining to personal injury claims throughout southern Alabama. Our firm takes on a full range of personal injury areas. This includes accidents, work-related injuries, medical malpractice, wrongful death and more. If you or a loved one has been involved in some type of accident due to the negligence of another party, you may be able to recover your medical or financial losses. Remember, you may also be compensated for your lost earnings, pain and suffering, permanent injuries, and other damages under Alabama law. The personal injury attorneys at Briskman & Binion, P.C. will conduct a complete investigation of your accident. We’ll look at your wage statement, your medical records, and work with you to get an understanding of your financial situation. As usual, we will offer legal advice every step of the way. We will strengthen the fairness of your settlement. Of course, we will also negotiate any offers to ensure that you get the compensation you deserve for your injuries. If you need to hire a personal injury lawyer, Briskman & Binion, P.C. is there to help. CLICK HERE to contact our law office today. The firm obtained a reversal in favor of its client in a wrongful death action. The firm successfully obtained summary judgment in the district court on civil rights and wrongful death claims against its client. The firm obtained a favorable reversal in favor of its client to claim damages in a wrongful death action. Summary judgment granted in favor of clients in maritime wrongful death case. The firm won a Motion to Remand to the Circuit Court of Mobile County on behalf of its client suing for personal injuries. 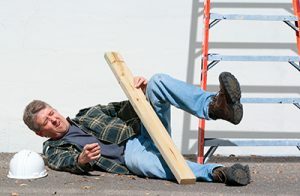 A lawyer in the firm successfully obtained summary judgment in the trial court on personal injury claims against a property owner for injuries arising out of the cutting of timber on the property owner’s property. The firm was successful in defeating a motion to compel arbitration filed by a nursing home on personal injury and wrongful death claims.